We had 31 members come out on Saturday, January 11th at The Forks. This weekend was the official opening of the river ice rink so there were lots of skaters out. We had our new banner hung and people stopped by and signed our petition. By the end of the day we had over 500 signatures on petitions turned in. We also delivered to another 2000 points of call in Old St Vital in the St Boniface riding of Shelly Glover. We can see our window signs being displayed in the areas we previously covered. 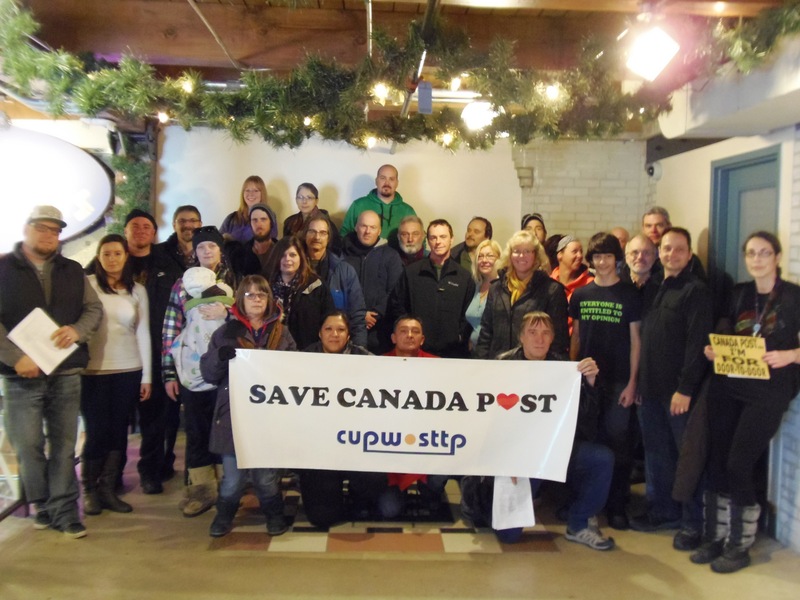 On Saturday, January 4th a total of 26 CUPW members in Winnipeg took the struggle to defend service for our customers to the riding of Conservative Cabinet Minister, Shelly Glover, Minister of Culture and Heritage. Our members braved a “brisk” -40 windchill to deliver a leaflet, window sign and letter to the MP opposing the plan to end door to door delivery. Over 2000 points of call were covered by the door to door literature drop in just a couple of hours. We also were on hand at the historic “Forks Market” collecting signatures on a petition opposing the reckless agenda of Deepak Chopra and the Harper government. Reaction from the public was fantastic and media coverage was also really positive. 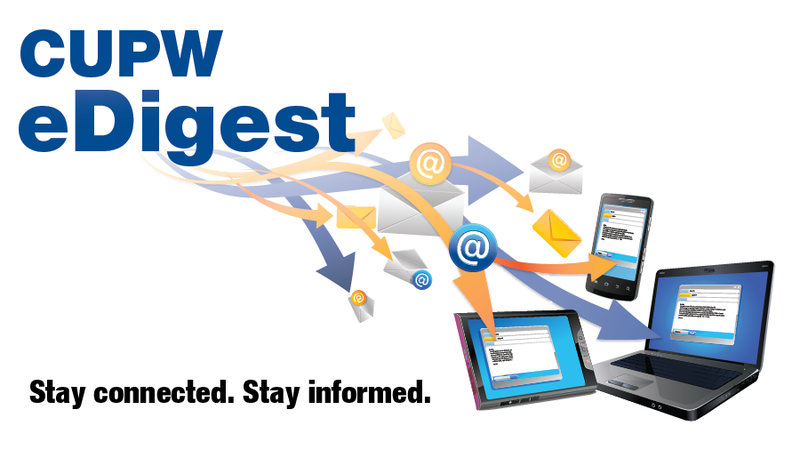 ← CANADA POST ANNOUNCES FURTHER ATTACKS TO SERVICE!